(KZN.RU, March 5). 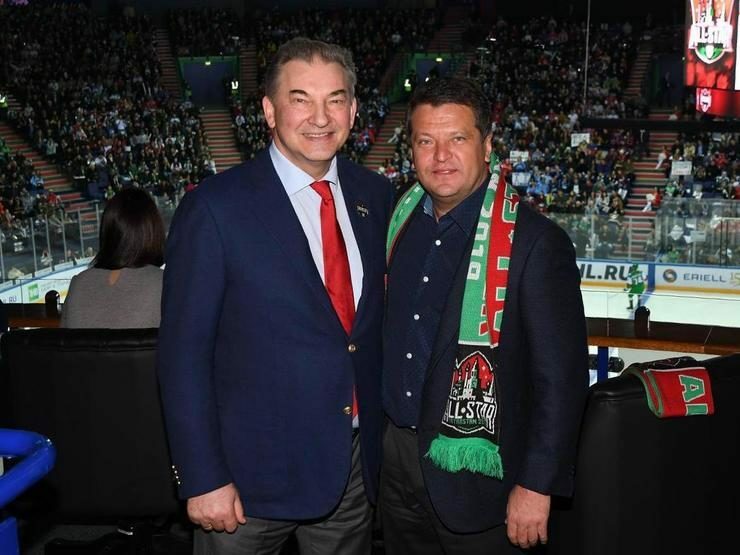 Ilsur Metshin, the Mayor of Kazan, Nail Maganov, the president of the hockey club “Ak Bars”, and Rafik Yakubov, the general manager of the club, started the “Ak Bars” playoff series in Kazan on March 4 in the Ice Palace “Tatneft Arena”. The first match was a victory for the Kazan hockey players and ended with a score of 3:0 in favor of our team. 6402 spectators watched the match. Justin Azevedo, Yaroslav Kosov, and Stanislav Galiev scored the puck.